Kathleen Hall Jamieson is the Elizabeth Ware Packard Professor of Communication at the University of Pennsylvania’s Annenberg School for Communication, the Walter and Leonore Annenberg Director of the university’s Annenberg Public Policy Center, and Program Director of the Annenberg Retreat at Sunnylands. She has authored or co-authored 16 books, most recently Cyberwar: How Russian Hackers and Trolls Helped Elect a President (Oxford University Press), which won the 2019 R.R. Hawkins Award from the Association of American Publishers. Including Cyberwar, six of the books that Jamieson has authored or co-authored have received a total of nine political science or communication book awards (Packaging the Presidency, Eloquence in an Electronic Age, Spiral of Cynicism, Presidents Creating the Presidency, and The Obama Victory.) She co-edited The Oxford Handbook of Political Communication and The Oxford Handbook of the Science of Science Communication. Jamieson has won university-wide teaching awards at each of the three universities at which she has taught and has delivered the American Political Science Association’s Ithiel de Sola Poole Lecture, the National Communication Association’s Arnold Lecture, and the NASEM Division of Behavioral and Social Sciences and Education Henry and Bryna David Lecture. Her paper “Implications of the Demise of ‘Fact’ in Political Discourse” received the American Philosophical Society’s 2016 Henry Allen Moe Prize. Jamieson’s work has been funded by the FDA and the MacArthur, Ford, Carnegie, Pew, Robert Wood Johnson, Packard, and Annenberg Foundations. 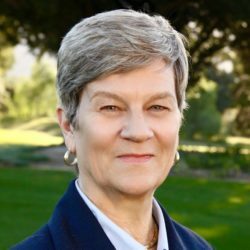 She is the co-founder of FactCheck.org and its subsidiary site, SciCheck, and director of The Sunnylands Constitution Project, which has produced more than 30 award-winning films on the Constitution for high school students. Jamieson is a fellow of the American Academy of Arts and Sciences, the American Philosophical Society, the American Academy of Political and Social Science, and the International Communication Association, and a past president of the American Academy of Political and Social Science.